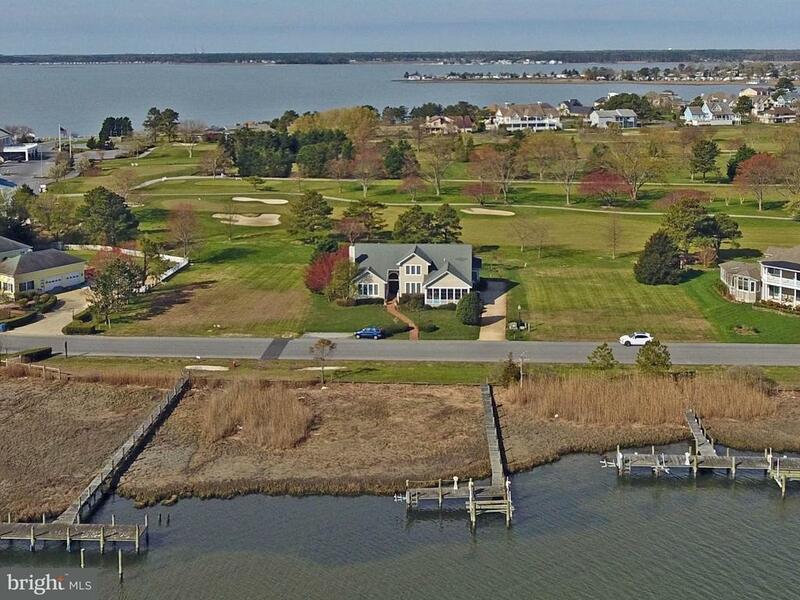 Rare Opportunity: Direct Bayfront with dock AND on the 9th hole of the RBYCC golf course. Only 7 homes are on both the golf course and on the Bay in this community. This 3500+ sq ft traditional Coastal home has both formal and casual living spaces with beautiful bay views and golf course views. The home offers 4BR, 3.5 BA with lots of room to entertain. Everyones favorite room is the large screened porch overlooking the bay, but with the living room, dining room, huge family room, sun room (currently with a pool table that can convey) and rear deck there is space for every activity. The private dock with electricity is being sold "as is" and can easily be customized for your boat(s) and jet skis. All this is steps to the country club and a short distance from town and beaches.